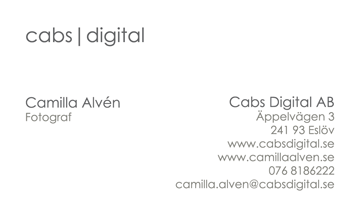 I offer the following services through the company Cabs Digital. All prices include VAT. Company photography - Contact me for a discussion and offering. Buying a picture - In the archive there are thousands of royalty free images for sale. Take a tour and find your favorites.